Controversy over the College’s policy to sanction students who join unrecognized single-gender social organizations (USGSOs, like final clubs, fraternities, and sororities) continues, revealing deep divisions within the Faculty of Arts and Sciences (FAS) and difficulty in reaching consensus about a workable outcome—or even about basic matters of governance. This faculty does not approve of Harvard College requiring a student to make an oath, pledge or affirmation about whether the student belongs to a particular organization or category of organizations. That committee, announced March 7, is the same one charged with reviewing the entire USGSO policy itself, which takes effect—beginning with students enrolling this August—under detailed implementation procedures revealed and accepted almost in their entirety on March 6 by Rakesh Khurana, dean of Harvard College. Khurana announced the sanctions policy last May; appointed the subsequent implementation committee, which issued its report to him; and is now co-chair of the separate, March 7 committee charged with reviewing and possibly modifying or changing significantly the entire USGSO policy and/or its implementation measures. This circular, or mirror-like, process in effect echoes the December debate, where the Faculty Council moved to postpone consideration of an earlier motion opposing the USGSO policy, proposed by Gordon McKay professor of computer science Harry Lewis (and supported by Haig and other colleagues). That meant that the terms of the faculty’s December discussion, while still grounded in the merits (or failings) of the USGSO policy, formally concerned whether to postpone substantive debate. Had the motion to postpone come to a vote, a majority could have effectively killed off the Lewis motion opposing the policy, without having to go on record about the substantive issues it raised. At this point, it is fair to say that a good many professors would be happy to ignore the entire issue. But those who feel strongly that College action against USGSOs is appropriate (as a means of countering gender discrimination), and those who feel strongly that it is inappropriate (as an infringement on students’ legal rights of free association), will be left without a formal means of engaging and recording faculty sentiment on these issues. (Opponents of the USGSO policy have also objected to what they see as administrative fiat usurping the faculty’s authority over the governance of student life at the College, and intruding on professors’ prerogatives to recommend their students for fellowships based on academic qualifications.) A series of procedural moves that deflect the faculty from voting on a matter that many of its members believe is subject to the faculty’s sole authority may be alienating, turning the issue into a matter of governance in and of itself. I affirm my awareness of the College’s policy regarding the principle of non-discrimination, particularly with regard to membership in unrecognized single-gender social organizations. In taking a leadership position in a student organization/applying for a sponsored grant or fellowship/becoming a varsity athletic team captain, I affirm my compliance with that policy. The affected students “must not have been a member of an unrecognized single-gender social organization for at least one year prior to application, and must remain unaffiliated with such organizations for at least one year after their tenure as holder of the fellowship or award”—meaning, in the case of students receiving multiyear fellowships, as long as a few years after graduation from the College. Students who join such organizations would no longer be eligible to lead recognized clubs, be recommended for fellowships, or be the captain of an athletic team. Electing to join a proscribed social organization forecloses the other options; and a violation of the affirmation statement is subject to adjudication by the Honor Council—the body set up to hear cases of plagiarism and cheating on exams. So at the same time that students may not join USGSOs without forfeiting other opportunities, faculty members are prohibited from making inquiries into prospective colleagues’ participation in precisely the same kinds of organizations. The faculty has not aired out such contradictions directly. 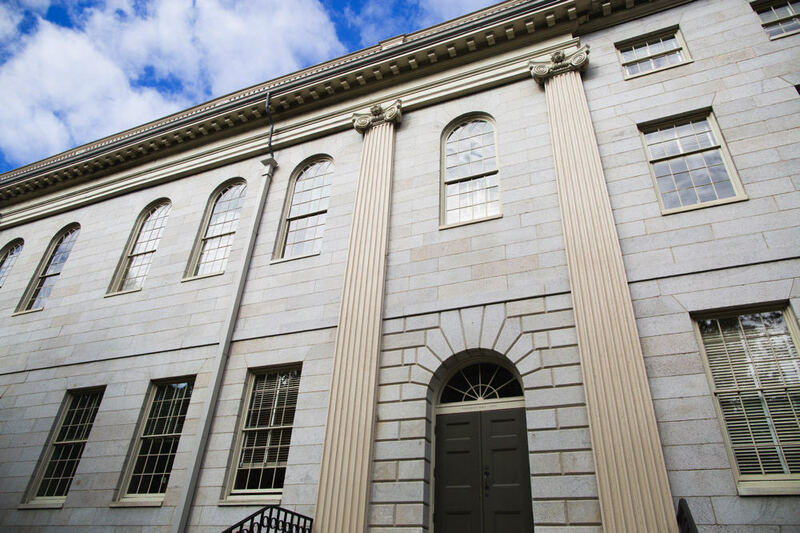 For now, students entering this fall are subject to the policy governing USGSOs; at least some of them may expect to encounter the affirmation described above during their undergraduate years at Harvard. Should they wish to join a final club, fraternity, or sorority that has decided to pursue official recognition—so members could avoid being sanctioned—they will find that such organizations must adopt nondiscriminatory admissions policies and publish “the demographic breakdown of the organization’s membership”—a standard higher than that to which existing, recognized clubs are held. Neither opponents nor proponents of the USGSO policy are content with all elements of undergraduate social life. Many strong opponents in fact find some behaviors associated with some final clubs, in particular, troublesome, and their existence as bastions of endowed privilege a contradiction to Harvard’s meritocratic aspirations. But the means by which changes might be brought about have proven troublesome—for some professors, deeply so. Even after months of policy pronouncements, debate, and elaboration of the procedures for the sanctions policy, it is unclear whether FAS has a smooth path toward measures that elicit anything like consensus.